Jaci Burton writes bestselling erotica. She lives in Tulsa, Oklahoma. 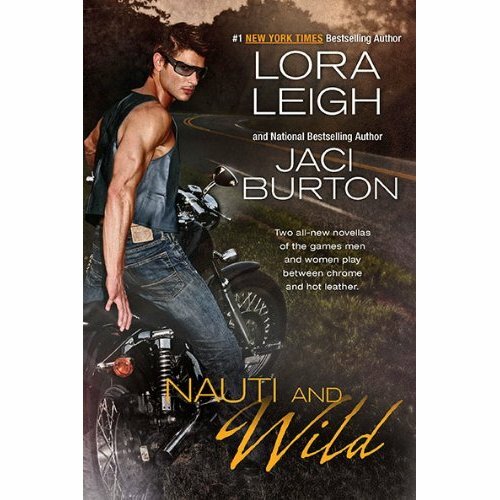 I've read Lora Leigh's breed series, but I've never gotten to read anything by Jaci burton and this looks like a great read. Love these authors writing. Great cover. Thank you for the giveaway. Oooh two of my fave authors in one book - how can I go wrong with that? This is already on my TBB list but it'd be awesome to win a copy. The book looks great. Thank you for having another great contest. I love both of these authors! I sssoooo want this book! These authors write some super steamy books and I love motorcycling men. Sounds really good. Great authors. What a great sounding book. I haven't read any erotica for quite a long time, so if the giveaway is open worldwide, please enter me. I saw the post on paranormal Romance blog and I follow you on Fang-tastic books. I get the email newsletter. I love your blog site - signed up as a follower and a chance to win your wonderful prize. Thank you for the chance to win. Looking forward to following your blog.